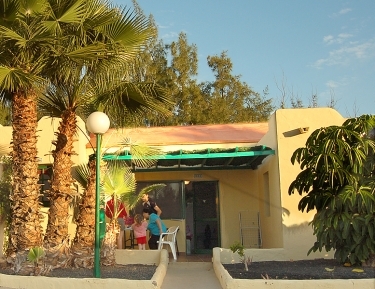 The house on Canary islands (Fuerteventura) near to ocean with pools, 5 - 7 minutes of walking to a wonderfull beach. Shops, restaurants, a parking, a first-aid post - all nearby. The complex is constructed in 1998. The house in one floor with 3 rooms - 2 bedrooms and a livingroom. Separate premises: kitchen, bathroom and loggia. 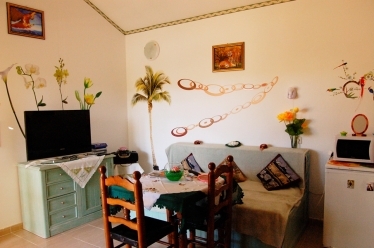 The house is 45 sq.m., loggia 16 sq.m. The House in very good condition, after European-quality repair. The house is completed by furniture, ware, the refrigerator, the TV-set, bed-clothes, towels and all necessary for high-grade rest. In the territory there is pool. It will be recommended to use: inexpensive tickets aboard the plane (depends on a season and time of purchase before departure date) and a variant of rent of the car on a place. Lease from 1 week. Rent cost depends only on quantity of people (from 2 to 6 persons). 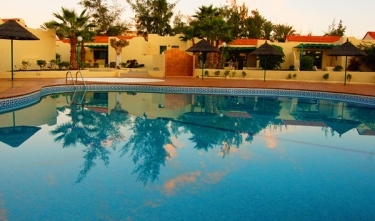 For 2 persons €350 a week, for each* next person (till 6) plus €60. If the leasing is longer as 1 week, every next week costs 20% less. Besides, €50 for the house for cleaning and washing of linen after the termination of term of rest. If it's nessesory to meet you at the airport and to deliver to the house and back to the airport, this service is paid on a place at a rate of €100. * Children till 5 years aren't considered.